Today, wearable devices are exploding onto the market. "Body-borne items designed to enhance our lives technologically while keeping us stylish almost sounds too good to be true, but what many fail to realize is that this supposedly “new” trend has been around for a very long time. The original wearables were actually the pocket watch and wristwatch which have been around since the 19th century. Since then, we have definitely come a long way and seem to only be making more and more progress. An increasing amount of fashion brands are collaborating with technology companies to create accessories and clothing that combine both fashion and function. 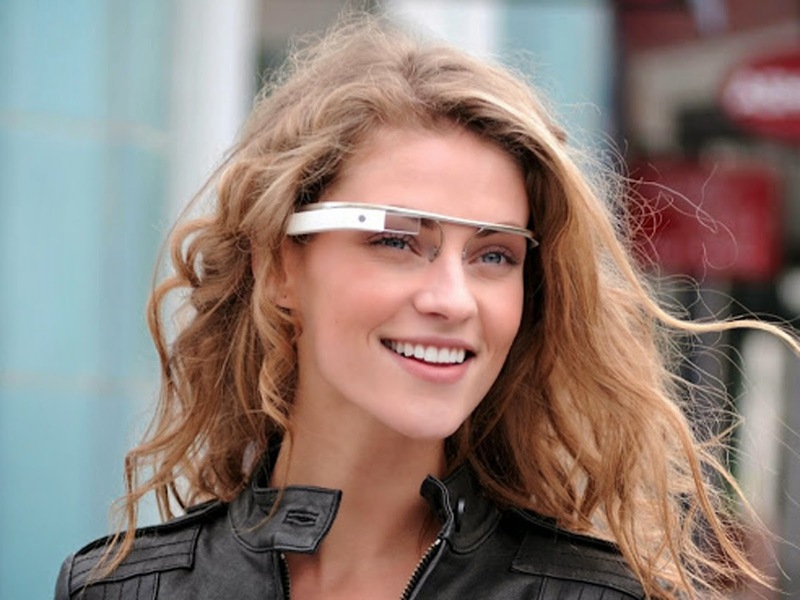 The first one to really make a splash in the world of wearable technology was Google Glass. Developed by Google, these are glasses that “display information in a smartphone-like hands-free format. Wearers communicate with the Internet via natural language voice commands,” according to Wikipedia. The glasses are priced at a whopping $1,500 but are currently off the market due to some glitches Google will be fixing. 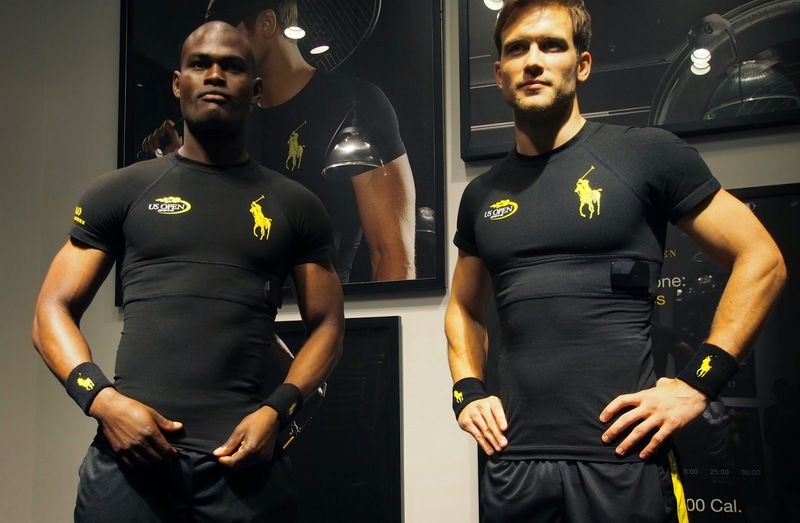 Ralph Lauren has recently come out with two wearables that have also been making some headway in the industry. Canadian firm OMsignal helped create the Polo tech shirt which is an athletic shirt that records breathing, stress levels and heart rate due to the conductive silver coated thread. Classic dress shirts from Ralph Lauren will be released in the first half of 2015 with the same features. In November 2014, the company unveiled the “Ricky bag with light” which is a modification of their signature leather bag. The difference is that this Ricky bag comes with an internal light and built-in USB charger. So not only can you find what you’re looking for with ease, you can make sure your smartphone never runs out of power. 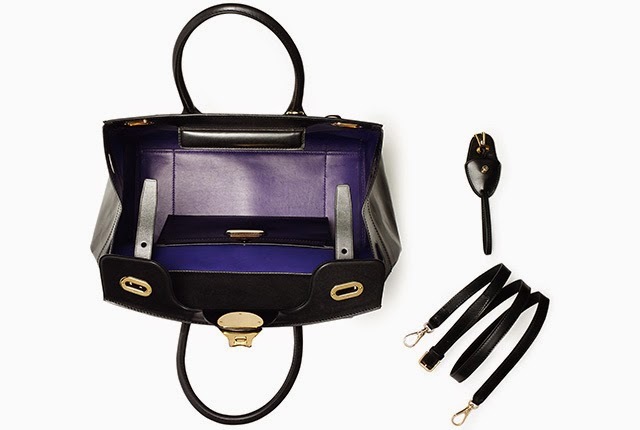 The bag is retailed at $5,000 and will be made available in February 2015. Tory Burch also has tried her hand in the wearables industry with three accessories that are compatible with the Fitbit Flex device, the wireless sleep and activity tracker. The brass necklace, bracelet and silicone band allows the user to clip the Fitbit into each accessory. The line was released in July and unfortunately proved to disappoint the fashion industry due to its cheap look. 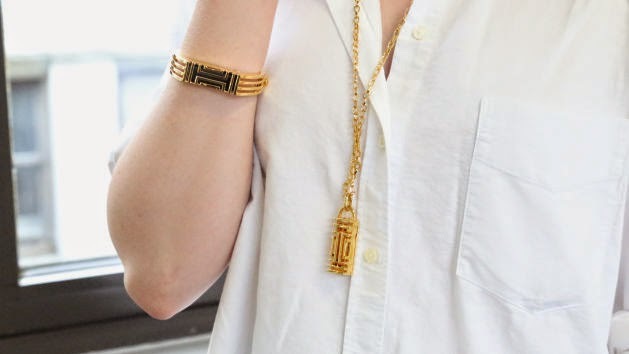 Nonetheless, the brass necklace and bracelet are $195 and $175, respectively. The Fitbit Flex piece that clips inside is an additional $99.95. Although fashion brands and technology companies are teaming up with hopes of creating the best new thing, the fact is that true mass consumption of these wearable technologies are somewhat unlikely. 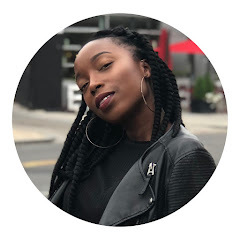 Senior lecturer of fashion brand strategy at London College of Fashion, Karina Nobbs states that the issue is that “we’re still missing that combination of something both beautiful and highly functional. In order for wearable tech to become accepted by the mass market, the design has to fit, but the tech also has to add value to the product and not be a gimmick, which many of the offers to date have been.” We can only hope that the issue is resolved soon so that wearable technology can be as big as it should. Photos courtesy of TomsGuide, TheNextWeb, Legatto Lifestyle Magazine, and Fashion Trends Daily.